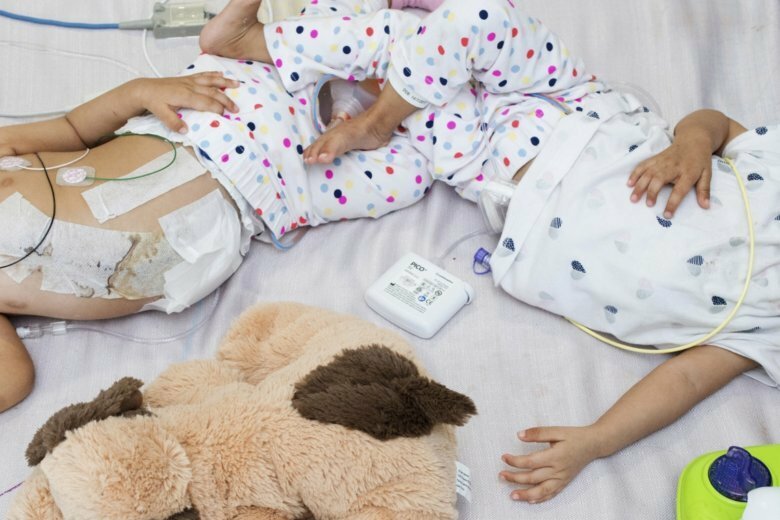 MELBOURNE, Australia (AP) — Formerly conjoined twins from Bhutan were released from an Australian hospital on Monday more than two weeks after they were separated in a delicate surgery. The 15-month-old girls Nima and Dawa were joined from the lower chest to just above the pelvis and shared a liver. They were separated during an operation at Melbourne’s Royal Children’s Hospital on Nov. 9 that lasted almost six hours. A major challenge had been to reconstruct their abdomens. The hospital’s head of pediatric surgery Joe Crameri told reporters the twins had made an “excellent recovery” and were acting independently. “I think to the staff on the wards … they’ve seen a remarkable two girls, girls that we’ve watched over this journey who started off really attached and bonded to one another, but ultimately frustrated with one another,” Crameri said. “Over the last couple of weeks, we’ve seen them gain confidence, we’ve seen them gain independence, we’ve seen them gain a lot of strengths,” Crameri said.